This post is part of an ongoing series featuring items from the newly acquired Julio Mario Santo Domingo collection. The volumes in the Santo Domingo Collection are variously remarkable for their content, their condition, their presentation, and their provenance. Perhaps the most arresting example yet of the latter is this unassuming item: Kokain, a German translation of Cocaina, the novel written by Dino Segre under his pseudonym Pitigrilli. The book follows the misadventures of Tito Arnaudi, a cocaine-addled nihilist, as he pursues romance and falls into dissipation. The cover, rebound with the original front cover pasted on, is not among the most beautiful in the collection. 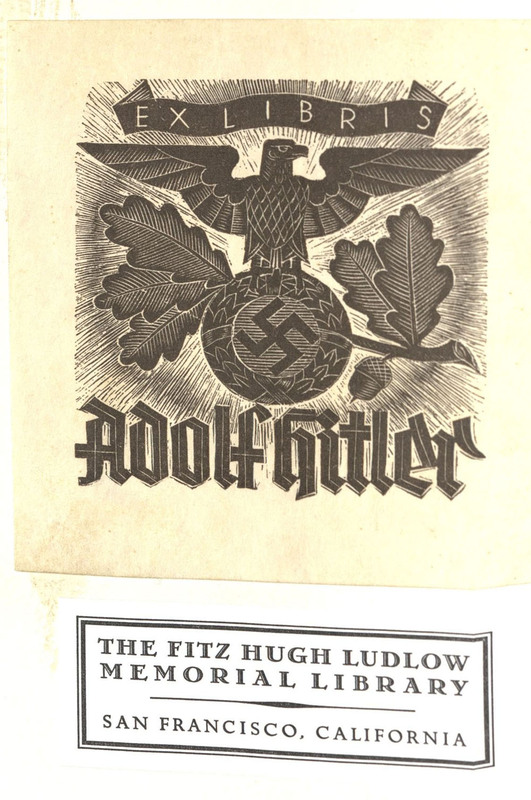 The front endsheet, though, bears two bookplates, besides that of the Houghton Library: the bookplate of the Fitz Hugh Memorial Library, whose former holdings make up a significant portion of the Santo Domingo Collection, and the bookplate of Adolf Hitler. A typescript letter, addressed from a soldier named Rollin Wilson to a “Mother Clark” and dated 7 May 1945, accompanies the volume. 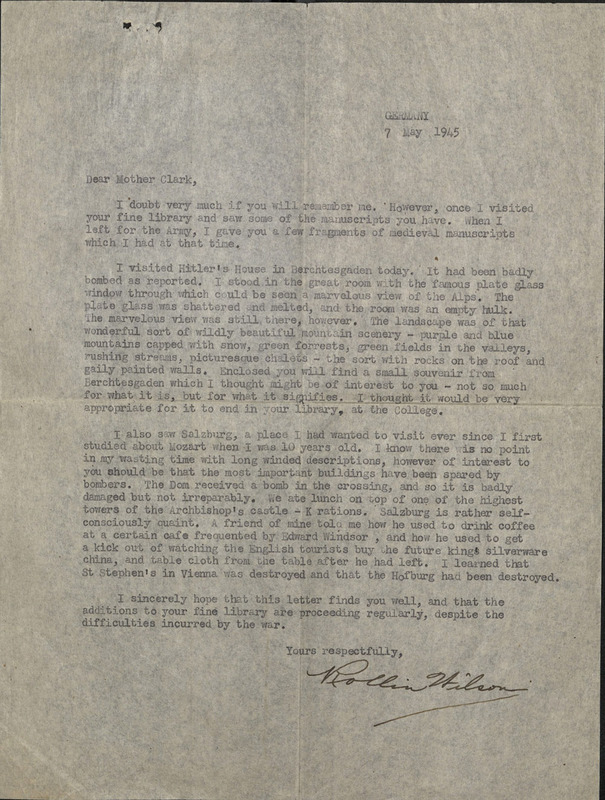 In it, Wilson describes his visit to Hitler’s bombed-out mountain residence in Berchtesgaden, and encloses Kokain as “a small souvenir” for Clark’s library. Provenance often adds to a book’s research value by way of the annotations and markings former owners leave behind. In Kokain, a single passage on page 145 is underlined; in it, the protagonist Tito excoriates farmers, describing them as egotistical, cruel, ignorant, and of “an inferior race of men”. Pitigrilli (pseud.). Kokain. 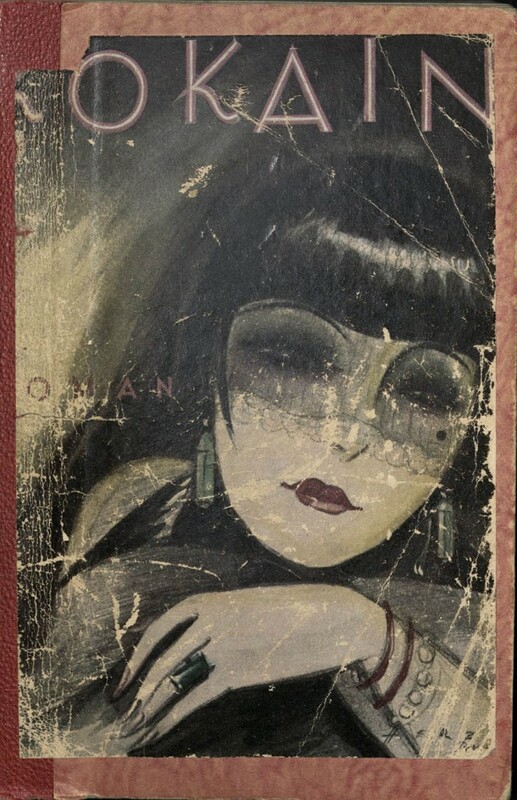 Berlin: Eden-Verlag, [c1927]. IC9.P6825.En927g. Do you know where I can get you the collection of Santo Domingo?